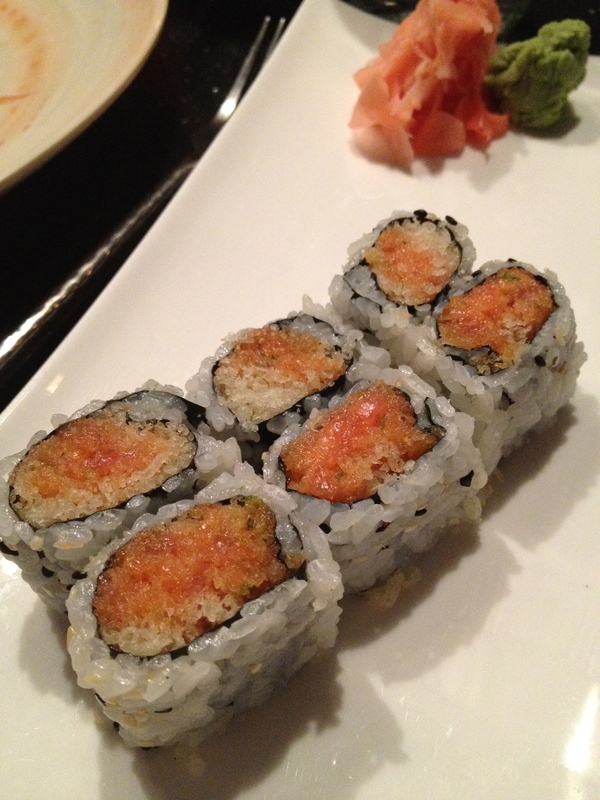 While our dinners were prepared, we decided to have some sushi, the spicy salmon to be precise. Â I hadn’t had sushi in quite a long time, so it was nice to be able to have some quality sushi so close to home! 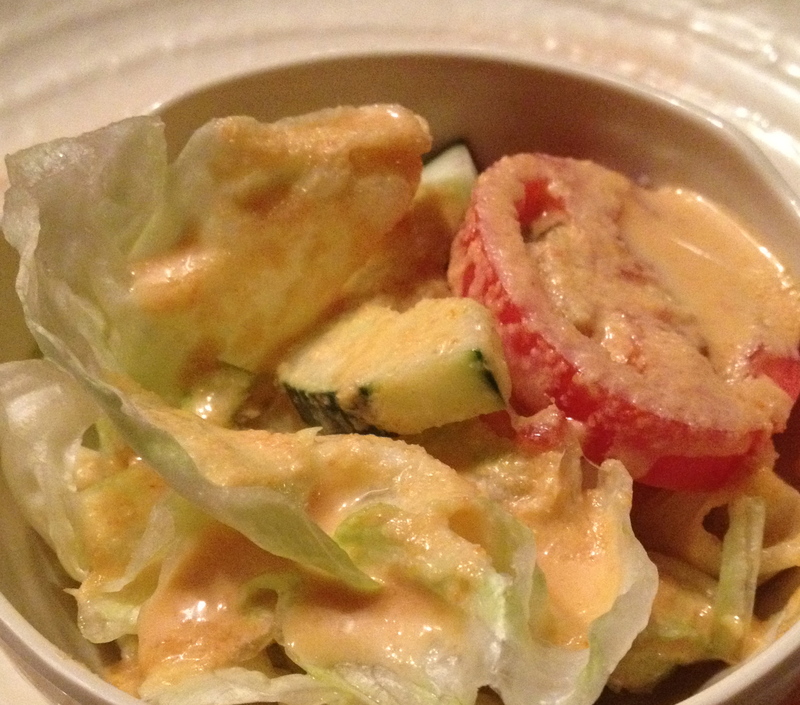 We also had the salad that comes with the hibachi dinner, and it was a typical simple salad. 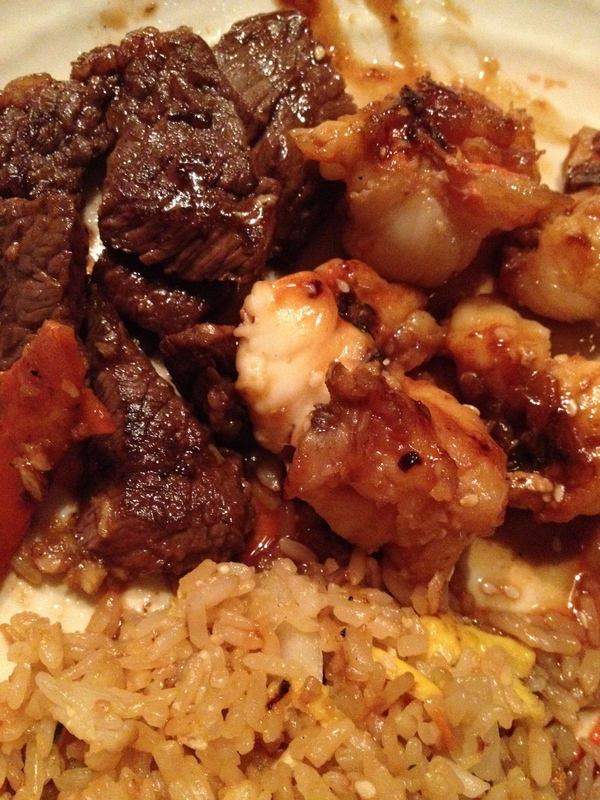 And finally, my plate… Â I ordered the steak and lobster hibachi dinner, which was delicious. Â It was served with nicely seasoned rice and vegetables–all in all, it was a fun dining experience and the dinner was wonderful! 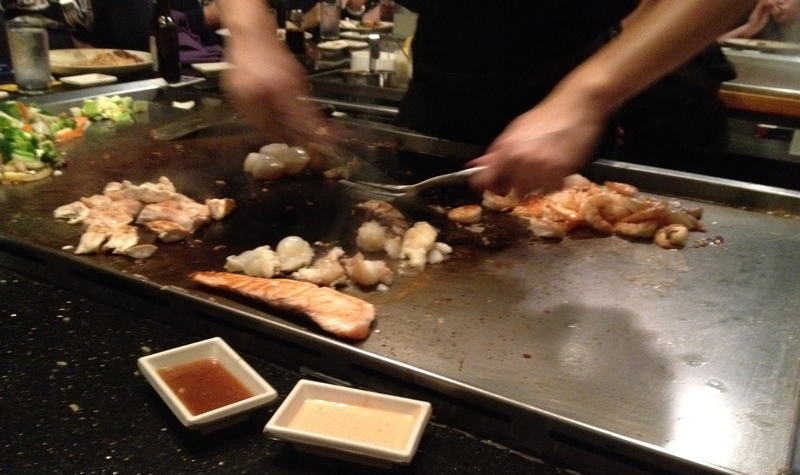 Â We look forward to dining at Sea 40 again, though we will probably opt for the regular menu in the dining area, rather than the hibachi tables. This entry was posted in Foodie Field Trips. Bookmark the permalink.